Are you faced with a running toilet? A leaky shower? A bathroom faucet that drips? Or do you need a complete bathroom remodel altogether? Then you should know you can count on Boelcke Heating and Air Conditioning to help meet your needs. You know we provide the very best in-home comfort services, but you may not be aware that we’re now pleased to add bathroom plumbing services. When you choose to work with Boelcke Heating and Air Conditioning, our qualified master plumbers will help you with everything you need. 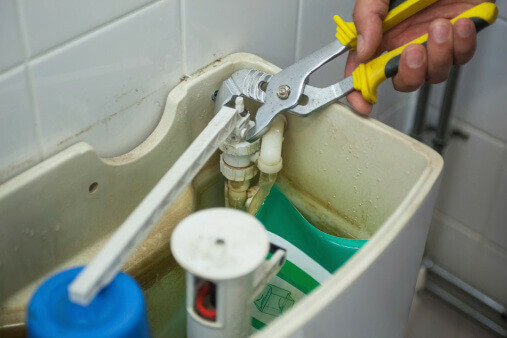 Whether you simply have a leaky toilet, or you’re considering an entire bathroom renovation, you can trust Boelcke Heating and Air Conditioning to help you with any problem – running toilets or faucets, water leaks, remodeling, bathroom plumbing installations, new construction, existing home retrofit, water and sewer main repair and replacement, and more! We use the best brands available in the plumbing industry, and install the best fixtures, appliances and plumbing supplies in your home. Trust Boelcke Heating and Air Conditioning when you need plumbing repair for your bathroom sink, bathtub, shower or toilet. At Boelcke Heating and Air Conditioning, it’s always been our goal to treat our customers like family. As a result, we strive to offer you the best products and services available. We never consider the job complete until you’re 100 percent satisfied with the work we’ve done for you. We want to provide you, our valued customer, with the best bathroom plumbing services available in our area. If you live in Stevensville, Coloma, St. Joseph or the surrounding areas and need bathroom plumbing for your home, give Boelcke Heating and Air Conditioning a call at (269) 429-9261. We’ll tell you about the different bathroom plumbing products and services we offer, and help you find the solution that best suits your needs.